How did you get into running? The Copenhagen Marathon passed through the street I lived on for years- I told myself that I would one day run it. In 2013, I finally ran it and I've been hooked ever since. How did you become involved with 3RUN2? I was moving from Copenhagen to Chicago in 2014 and wanted to meet like-minded people. A friend of mine suggested 3RUN2- On the third week of being in Chicago, I attended my first BLVDS Thursday run. I knew immediately that I found my community and today, my network consists mainly of people that I've met through 3RUN2. How did you get into running? I needed to fulfill a P.E. requirement for college, and the only class left was one called, "Jogging". I thought, "That doesn't sound too hard." I've been running ever since. How did you become involved with 3RUN2? I joined 3RUN2 in August of 2014. 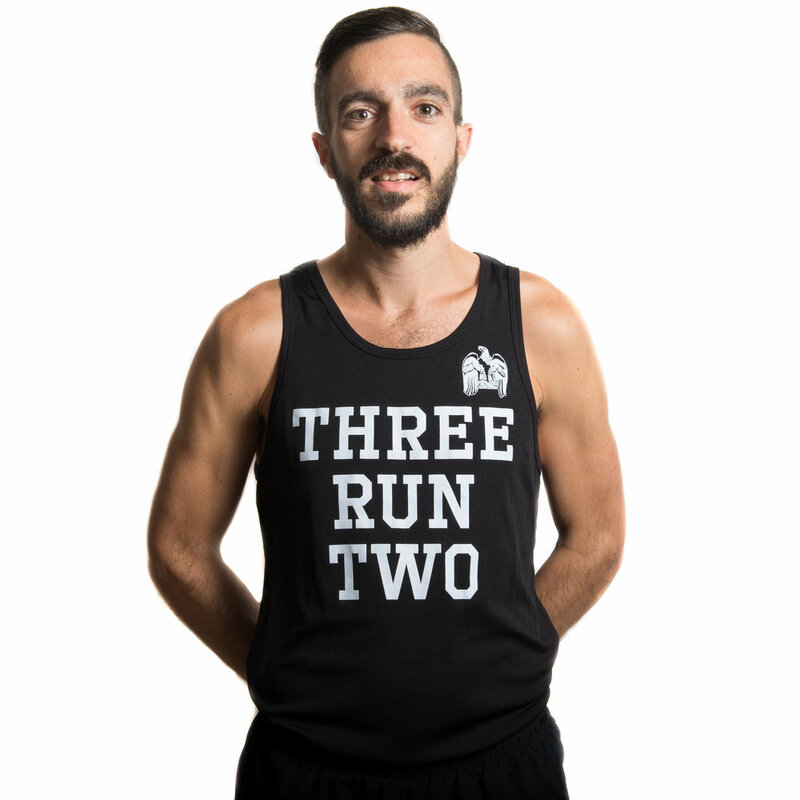 I live on Logan Boulevard and was walking home from a restaurant when I saw the crew fly by wearing these cool, black singlets. I knew I had to be a part of whatever this was, so I came out the next Thursday. How did you get into running? I ran my first timed mile in gym class when I was in high school. After I finished, my teacher advised me to join the track team. Running became my favorite sport. How did you become involved with 3RUN2? While I was training for my first BQ in 2015, one of my friends invited me to run with the group. I felt connected right away and made great friends that shared the same passion of the sport as me. How did you get into running? I got into running after severely injuring my ankle while playing soccer in 2012. I realized I needed a challenge in order to get better, so I signed up for the Wisconsin Marathon in 2013. 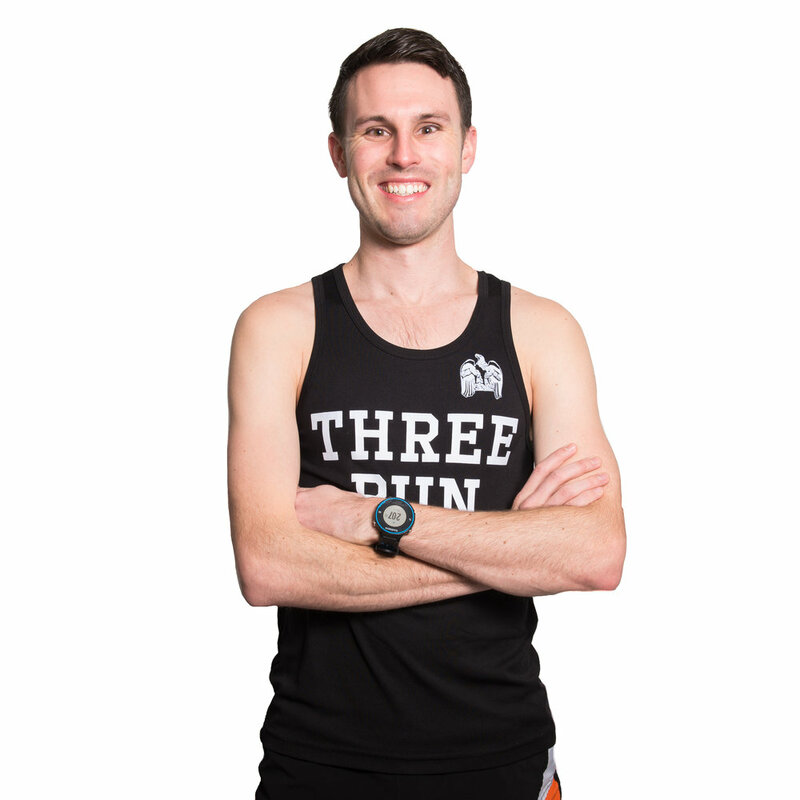 I've ran 9 more marathons since, including 5 World Majors. How did you become involved with 3RUN2? I discovered 3RUN2 in 2014 while having dinner at the restaurant they meet at. My first question was, "Who are these people running in MY neighborhood?!" I joined them the following week and found a family. I also met this really fast woman named Yesenia. A year later, we were married. How did you get into running? I got dumped! A long term relationship ended a few months before two of our best friends were getting married to each other. I vowed to "look good" at the wedding and knew I needed to start working out. I decided to run. More than just getting me in shape it was taking my mind off the breakup; so, I started running longer, further. I quickly learned my true love was running and it was the only relationship I needed! We now have 8 marathons together (even though a few I don't like to claim!). 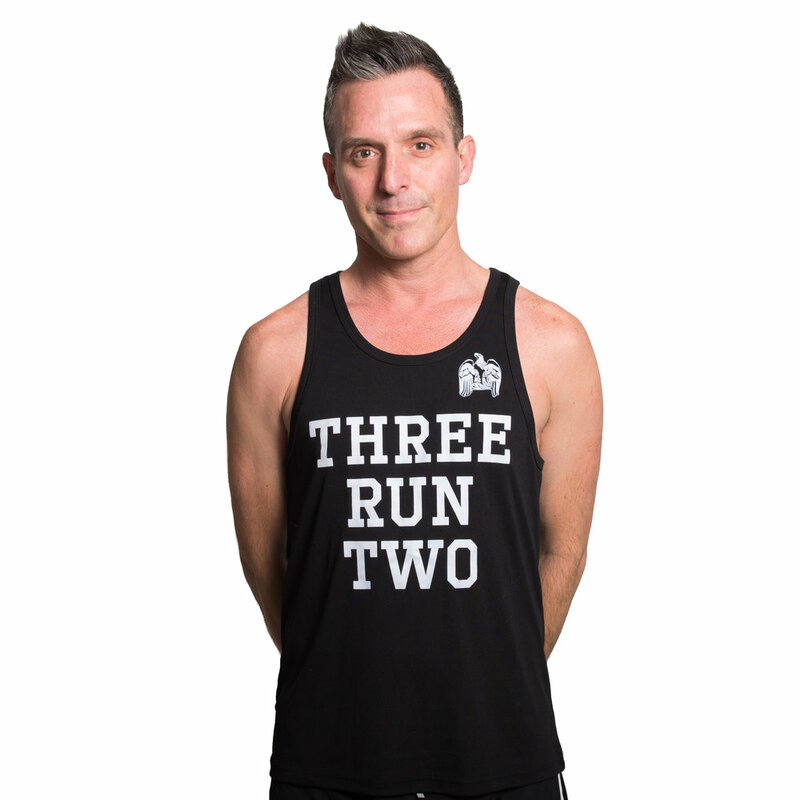 How did you become involved with 3RUN2? In September 2014 I read about the crew in Runner's World magazine. 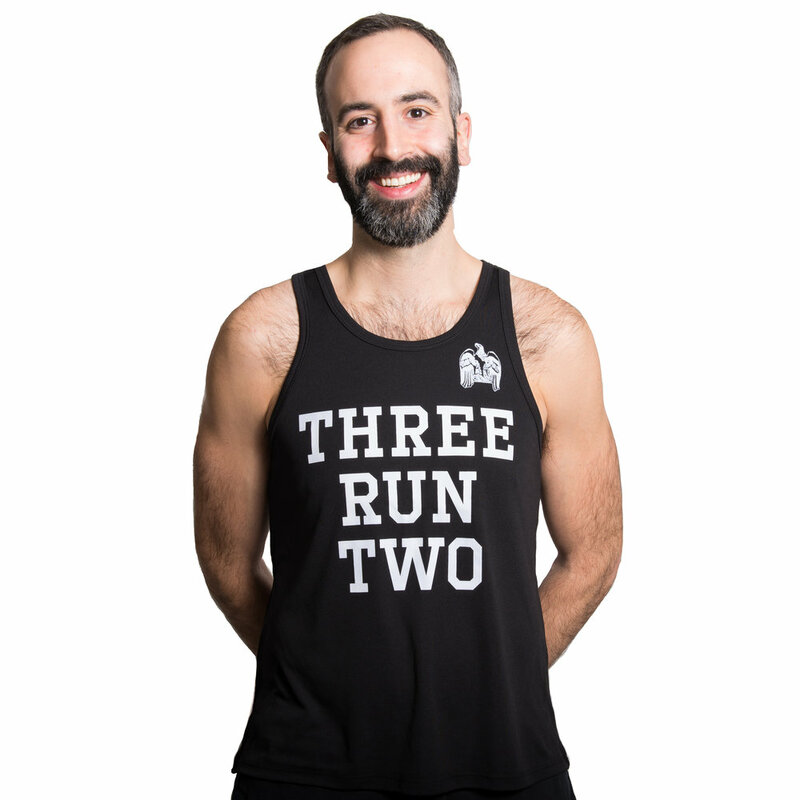 A few weeks after reading the article I saw a few runners wearing the 3RUN2 singlet after the Bucktown 5k. I chatted them up for a bit and they invited me to a Thursday #blvds run. I showed up the following week and have been running with the crew ever since. How did you become involved with 3RUN2? My first run with 3RUN2 was in Oct. 2016. I live right near the meet up spot for the Tues. AM group and my friend sent me a link to the website and suggested I check them out. I didn't end up going to the morning run that week, but checked out the Thursday night run instead. I had never run with a group before, and was such a noob that I remember thinking it was funny when we'd come to a stoplight and hear all of the watches beep. I kept up with the people towards the front of the pack (who I later learned were taking it easy that day) but loaded the run to Strava and got a few kudos from people I did not recognize. I went and checked out their profiles and was just blown away by the amount of running they did. I started to understand what it was to train, to run at recovery pace, to do workouts, etc. I was hooked. I started upping my weekly mileage and going on long runs consistently. As I started to come to the group runs more and more throughout the spring, I became friends with the crew, and they convinced me to sign up for my first marathon in the spring. I had planned for Chicago to be my first but I figured why not. I bonked big time at the end but still turned in a respectable time. As much as it hurt, I couldn't wait to start training for Chicago, and had the carrot of this racing team to motivate me. Now, I consider 3RUN2 to be one of the most important parts of my life. I've met so many great people and made a ton of new friends. Looking forward to many more miles and races with this group! How did you get into running? I first started running to lose weight. I was always on the heavier side and when I quit playing sports in high school I took up running. I ran inconsistently through out the years but started to get serious about running around 2013. I got hooked on long runs and loved being out there on the pavement. I slowly started to increase how far I could go. How did you become involved with 3RUN2? In 2015 I decided to enter my first race, the Shamrock Shuffle. I ran passed the 3RUN2 cheer squad and immediately thought that was the coolest thing ever. I didn't know who or what the group was until I saw them again at the 2015 Rock and Roll Half Marathon. There I took note of the name and logo when I ran by and looked them up online. I followed them on social media and saw all the cool things they were doing. I finally decided to join them for a Tuesday run in the spring of 2016 and it was one of the best decisions I ever made. I never would have thought coming out to that group run would lead to making their racing team. How did you get into running? 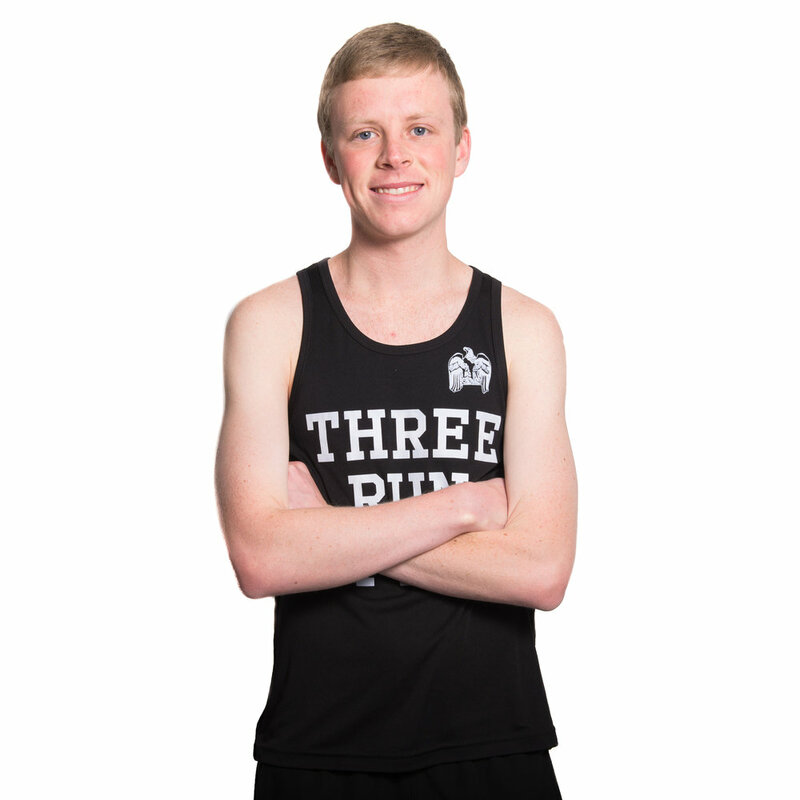 I joined my high school cross country team, knowing I had no chance of making the baseball or basketball team. How did you become involved with 3RUN2? I was looking for people to run with after I moved to Logan Square in September 2016. I looked online and found 3RUN2. How did you become involved with 3RUN2? My niece brought me along to a run in 2016- I've been showing up ever since. How did you get into running? I began running in high school to train for soccer, but I soon found out I was better at running than soccer. I ran in college for a year, then took some time off until a friend and I decided to run the Chicago Marathon together. Since that first marathon in 2013 I've completed 7 marathons (3 of which have been Abbott World Majors). How did you become involved with 3RUN2? I moved from the West Coast to Chicago in April of 2016 and by June I participated in my first Thursday night run. Aaron Baker (aka "Bakes") challenged me to come back the next week, and I've been hooked ever since! 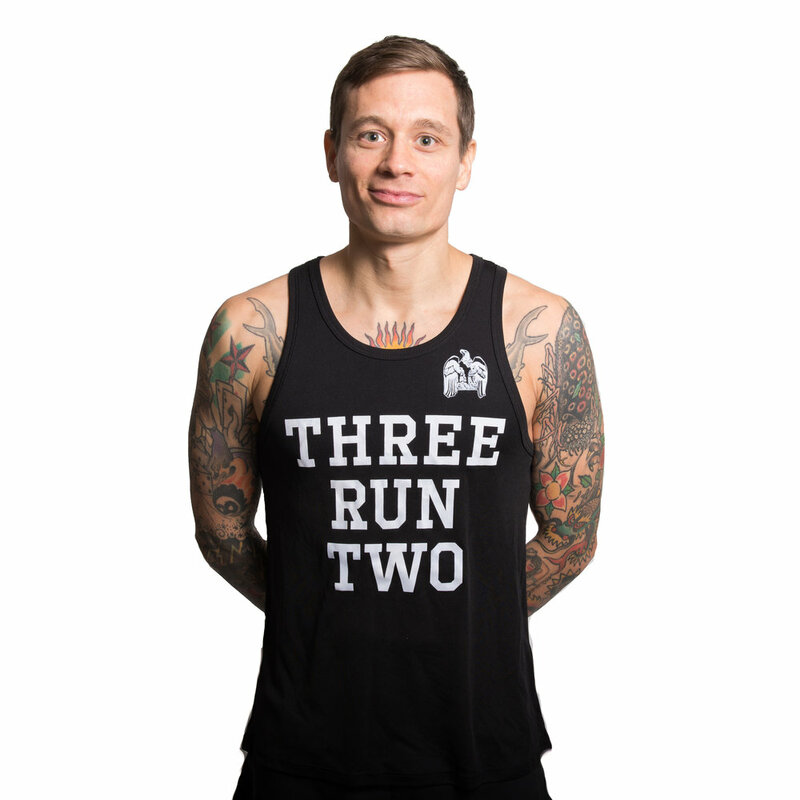 The 3RUN2 crew played a pivotal role in helping me establish a solid friend group and a running routine in a new city. Every week begins with me looking forward to the Thursday night run! How did you get into running? I got into running at the age of 16, back in 2003. I remember as a kid seeing the runners on TV taking off to run the L.A. Marathon and I thought to myself, I want to do that! I was able to do this with the help of Students Run LA (SRLA). My parents immigrated to this country with close to nothing and paying for recreational running wasn’t on their list of priorities because they had to focus on how to keep food on the table for a family of 6 at the time. SRLA provided the financial means to make this possible by covering multiple race entry fees and providing running shoes for each running season. I am immensely grateful for this organization because it allowed me to realize a goal that I would have perhaps not been able to accomplish. That’s the beauty of marathoning, it just translates into other aspects of life and makes the impossible seem possible. 18 marathons later, I’m still grateful. How did you become involved with 3RUN2? I heard about 3RUN2 back in 2013 from a crew member. I thought the name was super clever. The energy and community that 3RUN2 offers is undeniable. You can’t help but want to be a part of it. My wife and I love the group and appreciate how it allows us to challenge ourselves…that crew tempo just carries you. It definitely carried me through Boston 2018. How did you get into running? Back when I was in 5th grade all I ever wanted to be was a professional basketball player for the Sixers. So, everyday I shot baskets for two hours and challenged my big sis, Mia, to some one-on-one. Mia set the rules back then, and restricted the speed of play to “medium”. I lost nearly every time. That year in gym class we ran the mile and there was something inside of me that wanted to go “all out”. Perhaps this impulse came from years of being speed repressed during one-on-one with my sister, but that year I set the school record for the mile and realized I was never going to be “the answer” to Allen Iverson’s retirement, but I knew running was for me. 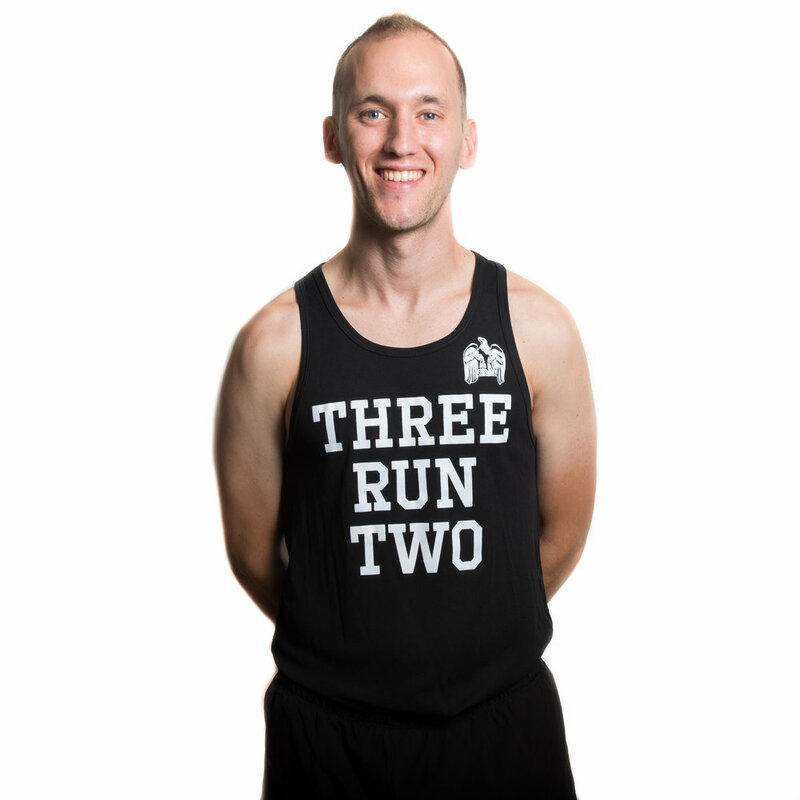 How did you become involved with 3RUN2? I tend to think of myself as a lone runner, but then I adopted my dog Champ and I knew he was now part of my running pack. So there were two—so there was two of us in a running pack. Then I looked for other running groups in Chicago however none would allow dogs. And then I saw these group of runners in Logan Square killing segments on strava. The group welcomed Champ and I in whole heartedly to their Thursday night runs. And I thought wait a second, could it be? And now I know for sure. I just added a whole running community to our running pack, a 3RUN2 running pack. Please note, it is necessary that you make your interest in the team known to our team captains- Andreas Knudsen and Aaron Baker prior to attempting or achieving qualifying times for a future team. Also, we will consider runners who achieve the above times prior to July for the second half of 2018 and 2019. *We are aware that our half marathon standards are relatively faster than our marathon standards. This is not by coincidence but simply because we identify ourselves primarily as a marathon crew and runners have more opportunities to run a competitive half marathon during a calendar year.